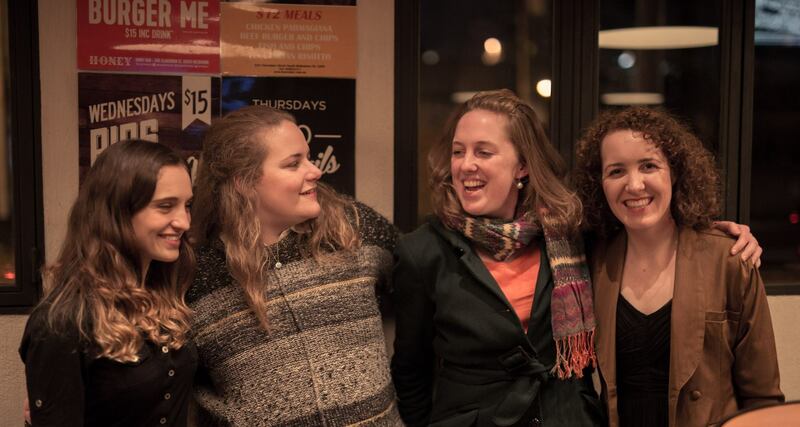 After the concert: Natalia Harvey, Gemma Tomlinson, me and Alethea Coombe. Photo by Cameron Jamieson. Testament – conducted by Dominic Harvey. Photo by Cameron Jamieson. 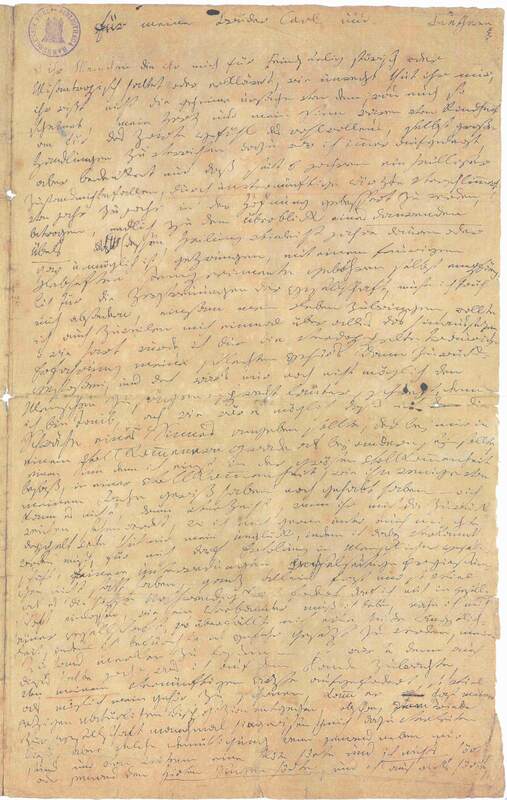 In his despairing Heiligenstadt Testament of 1802, Ludwig van Beethoven laments the loss of hearing he so famously suffered – “…how could I possibly admit such an infirmity in the one sense which should have been more perfect in me than in others…”. Brett Dean took this as the inspiration for his intense 12-viola work Testament (2002), which will fill South Melbourne Town Hall with visceral sounds and poignant recollections. This will follow a performance of Beethoven’s first Razumovsky quartet, heard anew via the enthralling music of renowned Hungarian composer, and mentor to Brett Dean, György Kurtág. 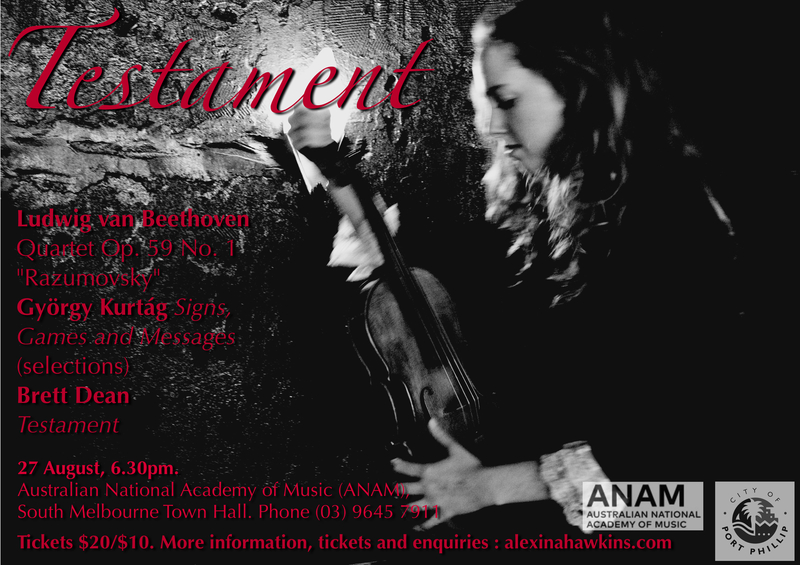 This concert features Natalia Harvey and Alethea Coombe (violins), Alexina Hawkins (viola), Gemma Tomlinson (cello), Chiaroscuro (viola ensemble) and Dominic Harvey (conductor).